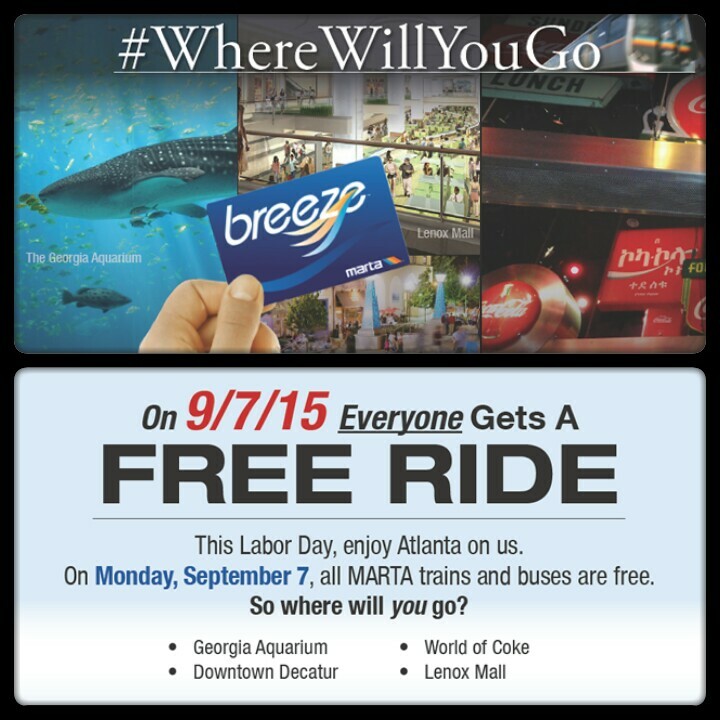 The best things in life are free…including a ride on MARTA. On Labor Day Monday, Sept. 7, 2015, MARTA is inviting everyone to ride its trains, buses and Mobility* service at no charge – that’s right, free. No need for Breeze cards. All the station fare gates will be open and buses will not be collecting fares. Great beat ! I prefer to apprentice whilst you amend your website, how can i subscribe for any blog internet site? It’s amazing in support of me to have a web site, which is beneficial designed for my experience. I am going to immediately grasp your rss when i can not find your email subscription link or newsletter service. may obtain benefit from using it I am certain. Asking questions are truly fastidious thing in case you are not understanding something completely, however this post offers good understanding yet. I do believe this is on the list of most significant information for me. then you must apply such strategies to the won weblog. a result I am sure.